UPDATE: Major updates made to this post! HUGE thanks to Leafre.net for the in-game images. UPDATE 2: Updated Phantom data to KMS v.1.2.149. We got a glimpse at the new thief hero here (more than just a glimpse actually), and what do you know, 2 days later it’s out to the test server. Along with the new hero, other classes got nerf’ed. I didn’t add that yet but I’ll post the skill changes a little later. Many years ago, Phantom was a famous thief. He was a very successful one, actually. He was also in love with Aria. Aria was the empress at the time, and she had the Skaia in her possession. The Skaia is the treasure of Ereve, and she was afraid of loving Phantom because she thought he might steal it from her. They fell in love, but shortly after Aria was called up to a meeting with a Black Mage general and died the day after. Shinsoo gave the Skaia to Phantom so he can protect it. The death of Aria made Phantom choose the path of becoming a hero. He became one of the five heroes who sealed the Black Mage. He was trapped in ice, but like the other heroes, he woke up a hundred years later. It was actually Aria who woke him up. She used some blessing to revive him, and he woke up in Ereve! When he woke up, he sneaked into a meeting with General Hilla, a Black Mage general who’s also the ruler of Aswan. 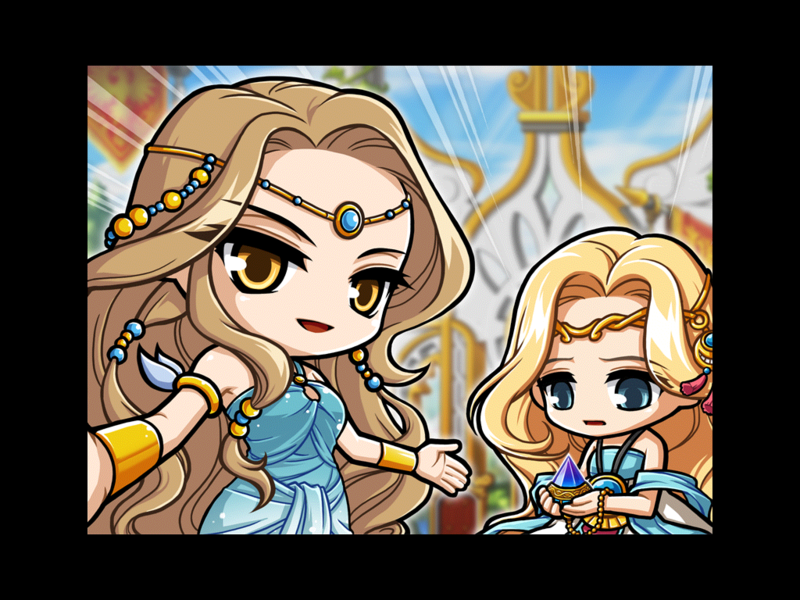 Remember that that meeting takes in the present-day Maple World, Cygnus is the new empress. Cygnus is Aria’s niece (she had no children to pass it on to). She’s lying, however. Phantom comes to the rescue and offers arguments to why she can’t be the empress (one of which relates to her age o_o; empresses have to be children apparently). He also shows them that he’s the owner of the Skaia, and that the identity of General Hilla is hidden (she’s really a Black Mage monster pretending to look like an empress). 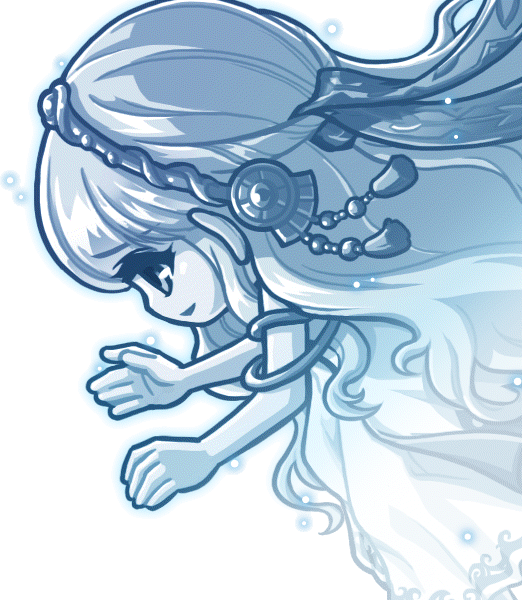 Phantom accepts the fact that the old world is gone, and is pledged to protect the new Maple World. 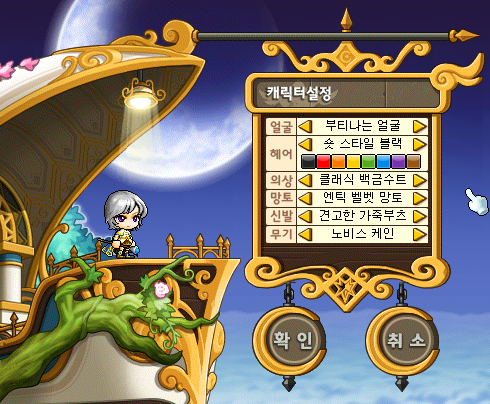 You get to choose between male and female and then you get to customize your Phantom. They only get 2 hairstyles and 2 types of eyes, but you can choose any hair color you want. First you use the skill. The skill will now let you lock on any adventurer in the map. You can choose whatever you want, but you can only get skills of your current job. In addition, when you steal a skill, you can use ANOTHER skill to get the job’s weapons. As you see in the example above, you get a glowing weapon. Yep! That’s why they were for thieves, they are for phantoms. Okay, back to Phantom-related info. Phantom starts out in Crystal Gardens. The way you get there is by that ship, which was one of the clues. When the stack hits its max (which is 20 at 2nd job, 30 at 3rd job, and 40 at 4th job), the skill Judgement is used (it’s a beginner skill). You get 1 card when your hit is a critical one. ^Level 100 mount. 150% speed, 120% jump. ^Level 200 mount. 190% speed, 120% jump. 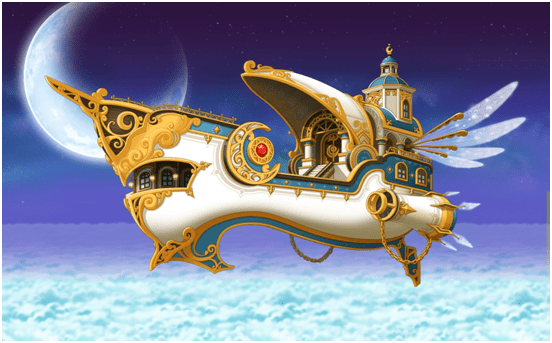 Description: Allows your Phantom to fly back to Crystal Gardens. Level 1: MP Cost: 30, Sends you back to Crystal Gardens. Description: With great insight find the enemy’s greatest flaw. Level 1: Critical Rate +10%. Description: Hide behind a veil of cards and move a long distance for a moment. Amount of times: 3 times. Description: Phatom has a great dexterity when dealing with his weapons. Level 1: DEX +40, Craft +20, Insight +20, +20% Dodge Rate. Description: Steals the skills of surrounding adventurers. Some skills may not be stolen. Level 1: MP Cost: 30, steals another person’s skill. Focus by moving your cursor around and select an adventurer. Description: Manage the skills you have stolen from other adventurers. Discard and use skills with your Thief Phantom. Level 1: Management of stolen skills. Description: When the stack of cards is full, the stack is emptied and one card is chosen. Depending on the card, you will receive a special buff. Fortune Card : Critical Rate +5%. Misfortune Card : Item Drop Rate +10%. Fortune Card : Critical Rate +10%. Misfortune Card : Item Drop Rate +20%. Endurance Card : Elemental/Abnormal Status Resistance +20%. Drain Card : Recovers 5% HP every attack. Description: Phantom tutorial skill only. The skill may guard you by making you unnoticed. Use this skill to throw something to unfocus attention of the enemies in front. Throw a coin in front. Description: Quickly throws 2 sticks at multiple enemies in front of you. Level 1: MP Cost: 10, Damage: 122%, Attacks up to 4 enemies 2 times. Level 2: MP Cost: 10, Damage: 124%, Attacks up to 4 enemies 2 times. Level 3: MP Cost: 10, Damage: 126%, Attacks up to 4 enemies 2 times. Level 4: MP Cost: 10, Damage: 128%, Attacks up to 4 enemies 2 times. Level 5: MP Cost: 11, Damage: 130%, Attacks up to 4 enemies 2 times. Level 6: MP Cost: 11, Damage: 132%, Attacks up to 4 enemies 2 times. Level 7: MP Cost: 11, Damage: 134%, Attacks up to 4 enemies 2 times. Level 8: MP Cost: 11, Damage: 136%, Attacks up to 4 enemies 2 times. Level 9: MP Cost: 11, Damage: 138%, Attacks up to 4 enemies 2 times. Level 10: MP Cost: 12, Damage: 140%, Attacks up to 4 enemies 2 times. Level 11: MP Cost: 12, Damage: 142%, Attacks up to 4 enemies 2 times. Level 12: MP Cost: 12, Damage: 144%, Attacks up to 4 enemies 2 times. Level 13: MP Cost: 12, Damage: 146%, Attacks up to 4 enemies 2 times. Level 14: MP Cost: 12, Damage: 148%, Attacks up to 4 enemies 2 times. Level 15: MP Cost: 13, Damage: 150%, Attacks up to 4 enemies 2 times. Level 16: MP Cost: 13, Damage: 152%, Attacks up to 4 enemies 2 times. Level 17: MP Cost: 13, Damage: 154%, Attacks up to 4 enemies 2 times. Level 18: MP Cost: 13, Damage: 156%, Attacks up to 4 enemies 2 times. Level 19: MP Cost: 13, Damage: 158%, Attacks up to 4 enemies 2 times. Level 20: MP Cost: 14, Damage: 160%, Attacks up to 4 enemies 2 times. Description: Steal skills from other adventurers, 1st job skills only. Effect from passive skills is not applied. Stolen skills can be accessed through Skill Management. Level 1: MP Consumption is equivalent to the skill’s required MP. Stolen skill’s level cannot exceed 1. Level 2: MP Consumption is equivalent to the skill’s required MP. Stolen skill’s level cannot exceed 2. Level 3: MP Consumption is equivalent to the skill’s required MP. Stolen skill’s level cannot exceed 3. Level 4: MP Consumption is equivalent to the skill’s required MP. Stolen skill’s level cannot exceed 4. Level 5: MP Consumption is equivalent to the skill’s required MP. Stolen skill’s level cannot exceed 5. Level 6: MP Consumption is equivalent to the skill’s required MP. Stolen skill’s level cannot exceed 6. Level 7: MP Consumption is equivalent to the skill’s required MP. Stolen skill’s level cannot exceed 7. Level 8: MP Consumption is equivalent to the skill’s required MP. Stolen skill’s level cannot exceed 8. Level 9: MP Consumption is equivalent to the skill’s required MP. Stolen skill’s level cannot exceed 9. Level 10: MP Consumption is equivalent to the skill’s required MP. Stolen skill’s level cannot exceed 10. Level 11: MP Consumption is equivalent to the skill’s required MP. Stolen skill’s level cannot exceed 11. 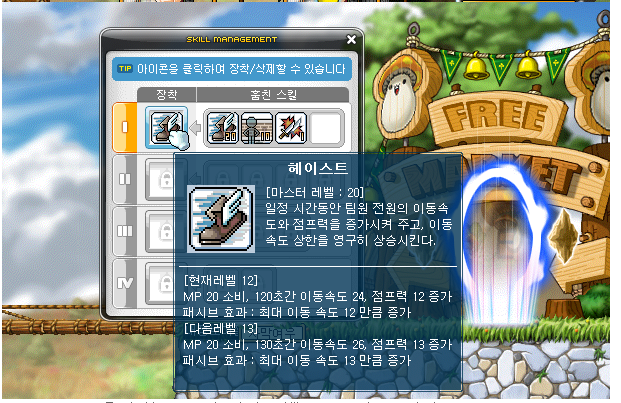 Level 12: MP Consumption is equivalent to the skill’s required MP. Stolen skill’s level cannot exceed 12. Level 13: MP Consumption is equivalent to the skill’s required MP. Stolen skill’s level cannot exceed 13. Level 14: MP Consumption is equivalent to the skill’s required MP. Stolen skill’s level cannot exceed 14. Level 15: MP Consumption is equivalent to the skill’s required MP. Stolen skill’s level cannot exceed 15. Level 16: MP Consumption is equivalent to the skill’s required MP. Stolen skill’s level cannot exceed 16. Level 17: MP Consumption is equivalent to the skill’s required MP. Stolen skill’s level cannot exceed 17. Level 18: MP Consumption is equivalent to the skill’s required MP. Stolen skill’s level cannot exceed 18. Level 19: MP Consumption is equivalent to the skill’s required MP. Stolen skill’s level cannot exceed 19. Level 20: MP Consumption is equivalent to the skill’s required MP. Stolen skill’s level cannot exceed 20. Description: Permanently increases your speed, maximum speed, and jump. Also, allows you to jump and fly for a long distance. As the skill level rises, the distance is increased. Level 1: Active Effects: MP Cost: 34, jumps a certain distance. Passive Effects: Speed +7, Maximum Speed +6, Jump +6. Level 2: Active Effects: MP Cost: 33, jumps a certain distance. Passive Effects: Speed +9, Maximum Speed +7, Jump +7. Level 3: Active Effects: MP Cost: 32, jumps a certain distance. Passive Effects: Speed +11, Maximum Speed +8, Jump +8. Level 4: Active Effects: MP Cost: 31, jumps a certain distance. Passive Effects: Speed +13, Maximum Speed +9, Jump +9. Level 5: Active Effects: MP Cost: 30, jumps a certain distance. Passive Effects: Speed +15, Maximum Speed +10, Jump +10. Level 6: Active Effects: MP Cost: 29, jumps a certain distance. Passive Effects: Speed +17, Maximum Speed +11, Jump +11. Level 7: Active Effects: MP Cost: 28, jumps a certain distance. Passive Effects: Speed +19, Maximum Speed +12, Jump +12. Level 8: Active Effects: MP Cost: 27, jumps a certain distance. Passive Effects: Speed +21, Maximum Speed +13, Jump +13. Level 9: Active Effects: MP Cost: 26, jumps a certain distance. Passive Effects: Speed +23, Maximum Speed +14, Jump +14. Level 10: Active Effects: MP Cost: 25, jumps a certain distance. Passive Effects: Speed +25, Maximum Speed +15, Jump +15. Level 11: Active Effects: MP Cost: 24, jumps a certain distance. Passive Effects: Speed +27, Maximum Speed +16, Jump +16. Level 12: Active Effects: MP Cost: 23, jumps a certain distance. Passive Effects: Speed +29, Maximum Speed +17, Jump +17. Level 13: Active Effects: MP Cost: 22, jumps a certain distance. Passive Effects: Speed +31, Maximum Speed +18, Jump +18. Level 14: Active Effects: MP Cost: 21, jumps a certain distance. Passive Effects: Speed +33, Maximum Speed +19, Jump +19. Level 15: Active Effects: MP Cost: 20, jumps a certain distance. Passive Effects: Speed +35, Maximum Speed +20, Jump +20. Description: Increases your dodge chance permanently. Level 1: Dodge Chance +2%. Level 2: Dodge Chance +4%. Level 3: Dodge Chance +6%. Level 4: Dodge Chance +8%. Level 5: Dodge Chance +10%. Level 6: Dodge Chance +12%. Level 7: Dodge Chance +14%. Level 8: Dodge Chance +16%. Level 9: Dodge Chance +18%. Level 10: Dodge Chance +20%. We first max Swift Phantom for better mobility, not to mention that training without it is impossible for a Phantom. Next is Double Piercing because it’s your main mobbing skill in 1st job. Next is Phantom Thief Talent I, so you can enjoy stealing other people’s skills. Lastly, we dump our SP into Quick Evasion to increase your dodge rate. Description: Throw a small amount of cards to attack the enemies in front of you. Level 1: MP Cost: 15, Damage: 132%, Attacks up to 3 monsters 3 times. Level 2: MP Cost: 15, Damage: 134%, Attacks up to 3 monsters 3 times. Level 3: MP Cost: 15, Damage: 136%, Attacks up to 3 monsters 3 times. Level 4: MP Cost: 15, Damage: 138%, Attacks up to 3 monsters 3 times. Level 5: MP Cost: 15, Damage: 140%, Attacks up to 3 monsters 3 times. Level 6: MP Cost: 17, Damage: 142%, Attacks up to 3 monsters 3 times. Level 7: MP Cost: 17, Damage: 144%, Attacks up to 3 monsters 3 times. Level 8: MP Cost: 17, Damage: 146%, Attacks up to 3 monsters 3 times. Level 9: MP Cost: 17, Damage: 148%, Attacks up to 3 monsters 3 times. Level 10: MP Cost: 17, Damage: 150%, Attacks up to 3 monsters 3 times. Level 11: MP Cost: 17, Damage: 152%, Attacks up to 3 monsters 3 times. Level 12: MP Cost: 19, Damage: 154%, Attacks up to 3 monsters 3 times. Level 13: MP Cost: 19, Damage: 156%, Attacks up to 3 monsters 3 times. Level 14: MP Cost: 19, Damage: 158%, Attacks up to 3 monsters 3 times. Level 15: MP Cost: 19, Damage: 160%, Attacks up to 3 monsters 3 times. Level 16: MP Cost: 19, Damage: 162%, Attacks up to 3 monsters 3 times. Level 17: MP Cost: 19, Damage: 164%, Attacks up to 3 monsters 3 times. Level 18: MP Cost: 21, Damage: 166%, Attacks up to 3 monsters 3 times. Level 19: MP Cost: 21, Damage: 168%, Attacks up to 3 monsters 3 times. Level 20: MP Cost: 21, Damage: 170%, Attacks up to 3 monsters 3 times. Description: Steal skills from other adventurers, 2nd job skills or lower. Description: Use your cards to send a wave forward to push monsters back. Level 1: MP Cost: 21, Damage: 206%, Attacks up to 10 enemies. Level 2: MP Cost: 22, Damage: 212%, Attacks up to 10 enemies. Level 3: MP Cost: 23, Damage: 218%, Attacks up to 10 enemies. Level 4: MP Cost: 24, Damage: 224%, Attacks up to 10 enemies. Level 5: MP Cost: 25, Damage: 230%, Attacks up to 10 enemies. Level 6: MP Cost: 26, Damage: 236%, Attacks up to 10 enemies. Level 7: MP Cost: 27, Damage: 242%, Attacks up to 10 enemies. Level 8: MP Cost: 28, Damage: 248%, Attacks up to 10 enemies. Level 9: MP Cost: 29, Damage: 254%, Attacks up to 10 enemies. Level 10: MP Cost: 30, Damage: 260%, Attacks up to 10 enemies. Level 11: MP Cost: 31, Damage: 266%, Attacks up to 10 enemies. Level 12: MP Cost: 32, Damage: 272%, Attacks up to 10 enemies. Level 13: MP Cost: 33, Damage: 278%, Attacks up to 10 enemies. Level 14: MP Cost: 34, Damage: 284%, Attacks up to 10 enemies. Level 15: MP Cost: 35, Damage: 290%, Attacks up to 10 enemies. Level 16: MP Cost: 36, Damage: 296%, Attacks up to 10 enemies. Level 17: MP Cost: 37, Damage: 302%, Attacks up to 10 enemies. Level 18: MP Cost: 38, Damage: 308%, Attacks up to 10 enemies. Level 19: MP Cost: 39, Damage: 314%, Attacks up to 10 enemies. Level 20: MP Cost: 40, Damage: 320%, Attacks up to 10 enemies. Description: Has a chance to automatically attack the enemy a second time when you deal a critical attack. At this time, the amount of cards on your stack will increase by 1. Level 1: Attack the enemy again with a 106% damage at a 6% chance. Card stack number increased by 1. Level 2: Attack the enemy again with a 112% damage at a 12% chance. Level 3: Attack the enemy again with a 118% damage at a 18% chance. Level 4: Attack the enemy again with a 124% damage at a 24% chance. Level 5: Attack the enemy again with a 130% damage at a 30% chance. Level 6: Attack the enemy again with a 136% damage at a 36% chance. Level 7: Attack the enemy again with a 142% damage at a 42% chance. Level 8: Attack the enemy again with a 148% damage at a 48% chance. Level 9: Attack the enemy again with a 154% damage at a 54% chance. Level 10: Attack the enemy again with a 160% damage at a 60% chance. Description: Enhances the mastery of your cane. Level 1: Cane Mastery +12%, Accuracy +10. Level 2: Cane Mastery +14%, Accuracy +20. Level 3: Cane Mastery +16%, Accuracy +30. Level 4: Cane Mastery +18%, Accuracy +40. Level 5: Cane Mastery +20%, Accuracy +50. Level 6: Cane Mastery +22%, Accuracy +60. Level 7: Cane Mastery +24%, Accuracy +70. Level 8: Cane Mastery +26%, Accuracy +80. Level 9: Cane Mastery +28%, Accuracy +90. Level 10: Cane Mastery +30%, Accuracy +100. Level 11: Cane Mastery +32%, Accuracy +110. Level 12: Cane Mastery +34%, Accuracy +120. Level 13: Cane Mastery +36%, Accuracy +130. Level 14: Cane Mastery +38%, Accuracy +140. Level 15: Cane Mastery +40%, Accuracy +150. Level 16: Cane Mastery +42%, Accuracy +160. Level 17: Cane Mastery +44%, Accuracy +170. Level 18: Cane Mastery +46%, Accuracy +180. Level 19: Cane Mastery +48%, Accuracy +190. Level 20: Cane Mastery +50%, Accuracy +200. Description: Uses MP to double the attack speed of your cane. Required Skill: Cane Mastery lv. 5. Level 1: MP Cost: 49, Duration: 12 seconds. Level 2: MP Cost: 48, Duration: 24 seconds. Level 3: MP Cost: 47, Duration: 36 seconds. Level 4: MP Cost: 46, Duration: 48 seconds. Level 5: MP Cost: 45, Duration: 60 seconds. Level 6: MP Cost: 44, Duration: 72 seconds. Level 7: MP Cost: 43, Duration: 84 seconds. Level 8: MP Cost: 42, Duration: 96 seconds. Level 9: MP Cost: 41, Duration: 108 seconds. Level 10: MP Cost: 40, Duration: 120 seconds. Level 11: MP Cost: 39, Duration: 132 seconds. Level 12: MP Cost: 38, Duration: 144 seconds. Level 13: MP Cost: 37, Duration: 156 seconds. Level 14: MP Cost: 36, Duration: 168 seconds. Level 15: MP Cost: 35, Duration: 180 seconds. Level 16: MP Cost: 34, Duration: 192 seconds. Level 17: MP Cost: 33, Duration: 204 seconds. Level 18: MP Cost: 32, Duration: 216 seconds. Level 19: MP Cost: 31, Duration: 228 seconds. Level 20: MP Cost: 30, Duration: 240 seconds. Description: Permanently improves your luck. Level 70: +1 Breeze Card [MAXED], +2 ??? We start off with putting 1 SP into every active skill so you can enjoy a variety of skills (only 2 skills :O). Next, we max Blank Card because you’ll see, when you play a Phantom, the card stack not loading is REALLY annoying. With Blank Card maxed, it will load very quickly. Plus, it’s an extra attack after each hit so it’s great to max! After that, we’ll distribute 5 points into Cane Mastery to enable us to put some in Cane Booster. We leave it at 5 so it lasts for 1 minute. We max Phantom Thief Talent II right after so you can steal skills and get them to a high level. It’s also good because you’re probably starting to PQ, and you can steal a party buff and then use it for your party members. Cane Mastery is then maxed for obvious reasons (increase your damage), and Call of Fate is maxed because it’s your only mobbing skill. To increase your LUK, we max Luck Monopoly. In just 4 levels, you got a 40 LUK bonus! Near the end, we max Cane Booster to increase its duration. We then dump the rest of our points into Breeze Card, which is not really useful for anything but pushing monsters away. Surprisingly, you have 2 leftover skill points afterwards just for, whatever. Description: Your phantom will quickly dash through your enemy and cut it. Level 1: MP Cost: 25, Damage: 168%, Attacks up to 8 enemies 4 times. Level 2: MP Cost: 25, Damage: 171%, Attacks up to 8 enemies 4 times. Level 3: MP Cost: 25, Damage: 174%, Attacks up to 8 enemies 4 times. Level 4: MP Cost: 26, Damage: 177%, Attacks up to 8 enemies 4 times. Level 5: MP Cost: 26, Damage: 180%, Attacks up to 8 enemies 4 times. Level 6: MP Cost: 26, Damage: 183%, Attacks up to 8 enemies 4 times. Level 7: MP Cost: 26, Damage: 186%, Attacks up to 8 enemies 4 times. Level 8: MP Cost: 27, Damage: 189%, Attacks up to 8 enemies 4 times. Level 9: MP Cost: 27, Damage: 192%, Attacks up to 8 enemies 4 times. Level 10: MP Cost: 27, Damage: 195%, Attacks up to 8 enemies 4 times. Level 11: MP Cost: 27, Damage: 198%, Attacks up to 8 enemies 4 times. Level 12: MP Cost: 28, Damage: 201%, Attacks up to 8 enemies 4 times. Level 13: MP Cost: 28, Damage: 204%, Attacks up to 8 enemies 4 times. Level 14: MP Cost: 28, Damage: 207%, Attacks up to 8 enemies 4 times. Level 15: MP Cost: 28, Damage: 210%, Attacks up to 8 enemies 4 times. Level 16: MP Cost: 29, Damage: 213%, Attacks up to 8 enemies 4 times. Level 17: MP Cost: 29, Damage: 216%, Attacks up to 8 enemies 4 times. Level 18: MP Cost: 29, Damage: 219%, Attacks up to 8 enemies 4 times. Level 19: MP Cost: 29, Damage: 222%, Attacks up to 8 enemies 4 times. Level 20: MP Cost: 30, Damage: 225%, Attacks up to 8 enemies 4 times. Description: Steal skills from other adventurers, 3rd job skills or lower. Description: The gifted phantom is awarded with permanent rise in luck. The skill will also allow you to regain strength when you die and let you survive. Level 1: Active Effects: MP Cost: 300, Duration: no ‘time’ variable seconds, Buff is consumed instead of dying. Passive Effects: Permanently increases LUK by 3. Level 2: Active Effects: MP Cost: 300, Duration: no ‘time’ variable seconds, Buff is consumed instead of dying. Passive Effects: Permanently increases LUK by 6. Level 3: Active Effects: MP Cost: 300, Duration: no ‘time’ variable seconds, Buff is consumed instead of dying. Passive Effects: Permanently increases LUK by 9. Level 4: Active Effects: MP Cost: 300, Duration: no ‘time’ variable seconds, Buff is consumed instead of dying. Passive Effects: Permanently increases LUK by 12. Level 5: Active Effects: MP Cost: 300, Duration: no ‘time’ variable seconds, Buff is consumed instead of dying. Passive Effects: Permanently increases LUK by 15. Level 6: Active Effects: MP Cost: 300, Duration: no ‘time’ variable seconds, Buff is consumed instead of dying. Passive Effects: Permanently increases LUK by 18. Level 7: Active Effects: MP Cost: 300, Duration: no ‘time’ variable seconds, Buff is consumed instead of dying. Passive Effects: Permanently increases LUK by 21. Level 8: Active Effects: MP Cost: 300, Duration: no ‘time’ variable seconds, Buff is consumed instead of dying. Passive Effects: Permanently increases LUK by 24. Level 9: Active Effects: MP Cost: 300, Duration: no ‘time’ variable seconds, Buff is consumed instead of dying. Passive Effects: Permanently increases LUK by 27. Level 10: Active Effects: MP Cost: 300, Duration: no ‘time’ variable seconds, Buff is consumed instead of dying. Passive Effects: Permanently increases LUK by 30. Level 11: Active Effects: MP Cost: 300, Duration: no ‘time’ variable seconds, Buff is consumed instead of dying. Passive Effects: Permanently increases LUK by 33. Level 12: Active Effects: MP Cost: 300, Duration: no ‘time’ variable seconds, Buff is consumed instead of dying. Passive Effects: Permanently increases LUK by 36. Level 13: Active Effects: MP Cost: 300, Duration: no ‘time’ variable seconds, Buff is consumed instead of dying. Passive Effects: Permanently increases LUK by 39. Level 14: Active Effects: MP Cost: 300, Duration: no ‘time’ variable seconds, Buff is consumed instead of dying. Passive Effects: Permanently increases LUK by 42. Level 15: Active Effects: MP Cost: 300, Duration: no ‘time’ variable seconds, Buff is consumed instead of dying. Passive Effects: Permanently increases LUK by 45. Level 16: Active Effects: MP Cost: 300, Duration: no ‘time’ variable seconds, Buff is consumed instead of dying. Passive Effects: Permanently increases LUK by 48. Level 17: Active Effects: MP Cost: 300, Duration: no ‘time’ variable seconds, Buff is consumed instead of dying. Passive Effects: Permanently increases LUK by 51. Level 18: Active Effects: MP Cost: 300, Duration: no ‘time’ variable seconds, Buff is consumed instead of dying. Passive Effects: Permanently increases LUK by 54. Level 19: Active Effects: MP Cost: 300, Duration: no ‘time’ variable seconds, Buff is consumed instead of dying. Passive Effects: Permanently increases LUK by 57. Level 20: Active Effects: MP Cost: 300, Duration: no ‘time’ variable seconds, Buff is consumed instead of dying. Passive Effects: Permanently increases LUK by 60. *There’s also a cooltime variable. Cooldown is 900 seconds at max level. Description: Use your cards to seal the monsters around you to prevent any misfortunes. HP, MP, Elemental Resistance, and Abnormal Status Resistance are increased. Level 1: MP Cost: 40, Duration: 50 seconds, MaxHP +11%, MaxMP +11%, Elemental Resistance +2, Abnormal Status Resistance +2. Level 2: MP Cost: 44, Duration: 60 seconds, MaxHP +12%, MaxMP +12%, Elemental Resistance +4, Abnormal Status Resistance +4. Level 3: MP Cost: 44, Duration: 70 seconds, MaxHP +13%, MaxMP +13%, Elemental Resistance +6, Abnormal Status Resistance +6. Level 4: MP Cost: 48, Duration: 80 seconds, MaxHP +14%, MaxMP +14%, Elemental Resistance +8, Abnormal Status Resistance +8. Level 5: MP Cost: 48, Duration: 90 seconds, MaxHP +15%, MaxMP +15%, Elemental Resistance +10, Abnormal Status Resistance +10. Level 6: MP Cost: 52, Duration: 100 seconds, MaxHP +16%, MaxMP +16%, Elemental Resistance +12, Abnormal Status Resistance +12. Level 7: MP Cost: 52, Duration: 110 seconds, MaxHP +17%, MaxMP +17%, Elemental Resistance +14, Abnormal Status Resistance +14. Level 8: MP Cost: 56, Duration: 120 seconds, MaxHP +18%, MaxMP +18%, Elemental Resistance +16, Abnormal Status Resistance +16. Level 9: MP Cost: 56, Duration: 130 seconds, MaxHP +19%, MaxMP +19%, Elemental Resistance +18, Abnormal Status Resistance +18. Level 10: MP Cost: 60, Duration: 140 seconds, MaxHP +20%, MaxMP +20%, Elemental Resistance +20, Abnormal Status Resistance +20. Level 11: MP Cost: 60, Duration: 150 seconds, MaxHP +21%, MaxMP +21%, Elemental Resistance +22, Abnormal Status Resistance +22. Level 12: MP Cost: 64, Duration: 160 seconds, MaxHP +22%, MaxMP +22%, Elemental Resistance +24, Abnormal Status Resistance +24. Level 13: MP Cost: 64, Duration: 170 seconds, MaxHP +23%, MaxMP +23%, Elemental Resistance +26, Abnormal Status Resistance +26. Level 14: MP Cost: 68, Duration: 180 seconds, MaxHP +24%, MaxMP +24%, Elemental Resistance +28, Abnormal Status Resistance +28. Level 15: MP Cost: 68, Duration: 190 seconds, MaxHP +25%, MaxMP +25%, Elemental Resistance +30, Abnormal Status Resistance +30. Level 16: MP Cost: 72, Duration: 200 seconds, MaxHP +26%, MaxMP +26%, Elemental Resistance +32, Abnormal Status Resistance +32. Level 17: MP Cost: 72, Duration: 210 seconds, MaxHP +27%, MaxMP +27%, Elemental Resistance +34, Abnormal Status Resistance +34. Level 18: MP Cost: 76, Duration: 220 seconds, MaxHP +28%, MaxMP +28%, Elemental Resistance +36, Abnormal Status Resistance +36. Level 19: MP Cost: 76, Duration: 230 seconds, MaxHP +29%, MaxMP +29%, Elemental Resistance +38, Abnormal Status Resistance +38. Level 20: MP Cost: 80, Duration: 240 seconds, MaxHP +30%, MaxMP +30%, Elemental Resistance +40, Abnormal Status Resistance +40. Description: The blue moon increases your ATT and accuracy. Level 1: MP Cost: 42, Duration: 50 seconds, ATT +3, Accuracy +10. Level 2: MP Cost: 44, Duration: 60 seconds, ATT +3, Accuracy +20. Level 3: MP Cost: 46, Duration: 70 seconds, ATT +6, Accuracy +30. Level 4: MP Cost: 48, Duration: 80 seconds, ATT +6, Accuracy +40. Level 5: MP Cost: 50, Duration: 90 seconds, ATT +9, Accuracy +50. Level 6: MP Cost: 52, Duration: 100 seconds, ATT +9, Accuracy +60. Level 7: MP Cost: 54, Duration: 110 seconds, ATT +12, Accuracy +70. Level 8: MP Cost: 56, Duration: 120 seconds, ATT +12, Accuracy +80. Level 9: MP Cost: 58, Duration: 130 seconds, ATT +15, Accuracy +90. Level 10: MP Cost: 60, Duration: 140 seconds, ATT +15, Accuracy +100. Level 11: MP Cost: 62, Duration: 150 seconds, ATT +18, Accuracy +110. Level 12: MP Cost: 64, Duration: 160 seconds, ATT +18, Accuracy +120. Level 13: MP Cost: 66, Duration: 170 seconds, ATT +21, Accuracy +130. Level 14: MP Cost: 68, Duration: 180 seconds, ATT +21, Accuracy +140. Level 15: MP Cost: 70, Duration: 190 seconds, ATT +24, Accuracy +150. Level 16: MP Cost: 72, Duration: 200 seconds, ATT +24, Accuracy +160. Level 17: MP Cost: 74, Duration: 210 seconds, ATT +27, Accuracy +170. Level 18: MP Cost: 76, Duration: 220 seconds, ATT +27, Accuracy +180. Level 19: MP Cost: 78, Duration: 230 seconds, ATT +30, Accuracy +190. Level 20: MP Cost: 80, Duration: 240 seconds, ATT +30, Accuracy +200. Description: Card shapes into a huge window, then rushes through the enemies with a series of half-moon cuts. Also, enhances the damage of Card Breeze permanently. Level 1: Active Effects: MP Cost: 30, Damage: 175%, Attacks up to 10 enemies 2 times. After rushing: Damage: 156%, Attacks 3 times. Passive Effects: Breeze Card +12% damage. Level 2: Active Effects: MP Cost: 31, Damage: 180%, Attacks up to 10 enemies 2 times. After rushing: Damage: 162%, Attacks 3 times. Passive Effects: Breeze Card +14% damage. Level 3: Active Effects: MP Cost: 31, Damage: 185%, Attacks up to 10 enemies 2 times. After rushing: Damage: 168%, Attacks 3 times. Passive Effects: Breeze Card +16% damage. Level 4: Active Effects: MP Cost: 32, Damage: 190%, Attacks up to 10 enemies 2 times. After rushing: Damage: 174%, Attacks 3 times. Passive Effects: Breeze Card +18% damage. Level 5: Active Effects: MP Cost: 32, Damage: 195%, Attacks up to 10 enemies 2 times. After rushing: Damage: 180%, Attacks 3 times. Passive Effects: Breeze Card +20% damage. Level 6: Active Effects: MP Cost: 33, Damage: 200%, Attacks up to 10 enemies 2 times. After rushing: Damage: 186%, Attacks 3 times. Passive Effects: Breeze Card +22% damage. Level 7: Active Effects: MP Cost: 33, Damage: 205%, Attacks up to 10 enemies 2 times. After rushing: Damage: 192%, Attacks 3 times. Passive Effects: Breeze Card +24% damage. Level 8: Active Effects: MP Cost: 34, Damage: 210%, Attacks up to 10 enemies 2 times. After rushing: Damage: 198%, Attacks 3 times. Passive Effects: Breeze Card +26% damage. Level 9: Active Effects: MP Cost: 34, Damage: 215%, Attacks up to 10 enemies 2 times. After rushing: Damage: 204%, Attacks 3 times. Passive Effects: Breeze Card +28% damage. Level 10: Active Effects: MP Cost: 35, Damage: 220%, Attacks up to 10 enemies 2 times. After rushing: Damage: 210%, Attacks 3 times. Passive Effects: Breeze Card +30% damage. Level 11: Active Effects: MP Cost: 35, Damage: 225%, Attacks up to 10 enemies 2 times. After rushing: Damage: 216%, Attacks 3 times. Passive Effects: Breeze Card +32% damage. Level 12: Active Effects: MP Cost: 36, Damage: 230%, Attacks up to 10 enemies 2 times. After rushing: Damage: 222%, Attacks 3 times. Passive Effects: Breeze Card +34% damage. Level 13: Active Effects: MP Cost: 36, Damage: 235%, Attacks up to 10 enemies 2 times. After rushing: Damage: 228%, Attacks 3 times. Passive Effects: Breeze Card +36% damage. Level 14: Active Effects: MP Cost: 37, Damage: 240%, Attacks up to 10 enemies 2 times. After rushing: Damage: 234%, Attacks 3 times. Passive Effects: Breeze Card +38% damage. Level 15: Active Effects: MP Cost: 37, Damage: 245%, Attacks up to 10 enemies 2 times. After rushing: Damage: 240%, Attacks 3 times. Passive Effects: Breeze Card +40% damage. Level 16: Active Effects: MP Cost: 38, Damage: 250%, Attacks up to 10 enemies 2 times. After rushing: Damage: 246%, Attacks 3 times. Passive Effects: Breeze Card +42% damage. Level 17: Active Effects: MP Cost: 38, Damage: 255%, Attacks up to 10 enemies 2 times. After rushing: Damage: 252%, Attacks 3 times. Passive Effects: Breeze Card +44% damage. Level 18: Active Effects: MP Cost: 39, Damage: 260%, Attacks up to 10 enemies 2 times. After rushing: Damage: 258%, Attacks 3 times. Passive Effects: Breeze Card +46% damage. Level 19: Active Effects: MP Cost: 39, Damage: 265%, Attacks up to 10 enemies 2 times. After rushing: Damage: 264%, Attacks 3 times. Passive Effects: Breeze Card +48% damage. Level 20: Active Effects: MP Cost: 40, Damage: 270%, Attacks up to 10 enemies 2 times. After rushing: Damage: 270%, Attacks 3 times. Passive Effects: Breeze Card +50% damage. Level 1: Critical Rate +12%. Level 2: Critical Rate +14%. Level 3: Critical Rate +16%. Level 4: Critical Rate +18%. Level 5: Critical Rate +20%. Level 6: Critical Rate +22%. Level 7: Critical Rate +24%. Level 8: Critical Rate +26%. Level 9: Critical Rate +28%. Level 10: Critical Rate +30%. Level 11: Critical Rate +32%. Level 12: Critical Rate +34%. Level 13: Critical Rate +36%. Level 14: Critical Rate +38%. Level 15: Critical Rate +40%. Level 16: Critical Rate +42%. Level 17: Critical Rate +44%. Level 18: Critical Rate +46%. Level 19: Critical Rate +48%. Level 20: Critical Rate +50%. Description: Phantom Charge gets additional attacks. Level 1: MP Cost: 0, Damage: 156%, Attacks up to 10 enemies 3 times. Level 2: MP Cost: 0, Damage: 162%, Attacks up to 10 enemies 3 times. Level 3: MP Cost: 0, Damage: 168%, Attacks up to 10 enemies 3 times. Level 4: MP Cost: 0, Damage: 174%, Attacks up to 10 enemies 3 times. Level 5: MP Cost: 0, Damage: 180%, Attacks up to 10 enemies 3 times. Level 6: MP Cost: 0, Damage: 186%, Attacks up to 10 enemies 3 times. Level 7: MP Cost: 0, Damage: 192%, Attacks up to 10 enemies 3 times. Level 8: MP Cost: 0, Damage: 198%, Attacks up to 10 enemies 3 times. Level 9: MP Cost: 0, Damage: 204%, Attacks up to 10 enemies 3 times. Level 10: MP Cost: 0, Damage: 210%, Attacks up to 10 enemies 3 times. Level 11: MP Cost: 0, Damage: 216%, Attacks up to 10 enemies 3 times. Level 12: MP Cost: 0, Damage: 222%, Attacks up to 10 enemies 3 times. Level 13: MP Cost: 0, Damage: 228%, Attacks up to 10 enemies 3 times. Level 14: MP Cost: 0, Damage: 234%, Attacks up to 10 enemies 3 times. Level 15: MP Cost: 0, Damage: 240%, Attacks up to 10 enemies 3 times. Level 16: MP Cost: 0, Damage: 246%, Attacks up to 10 enemies 3 times. Level 17: MP Cost: 0, Damage: 252%, Attacks up to 10 enemies 3 times. Level 18: MP Cost: 0, Damage: 258%, Attacks up to 10 enemies 3 times. Level 19: MP Cost: 0, Damage: 264%, Attacks up to 10 enemies 3 times. Level 20: MP Cost: 0, Damage: 270%, Attacks up to 10 enemies 3 times. As always, we add 1 to each of our attacking/useful skills first. The first thing we max is Phantom Thief Talent III, because I know how eager all of you are to serve as HS mules. Your main mobbing skill is Coat of Arms, so that’s next the thing we max next. Right after that we max Moonlight so you can get extra ATT, Misfortune Protection because it’s amazing for bosses (which, at this point, you are getting ready to fight), and Flash and Plymouth, which is an extremely useful skill because it avoids almost every attack you receive. It can save you a lot of potions and improve your playing experience as a whole. Right after is Acute Sense to increase your Critical Rate and Phantom Thief Luck to reduce the cooldown on the skill, in addition to improving its passive effect. It still does the same job, but now the cooldown is much lower. We dump the rest of our points into Phantom Charge. The skill is not really necessary and, actually, not very good. It doesn’t even push the monsters… It’s kind of useless. Therefore, we leave it at 11. Description: Use your cane rapidly enough to become invisible. Attack continuously as the skill slows down. Level 1: MP Cost: 13, Deals 101% damage on 6 enemies 2 times. While the key is held down, you can move. Level 2: MP Cost: 13, Deals 102% damage on 6 enemies 2 times. Level 3: MP Cost: 13, Deals 103% damage on 6 enemies 2 times. Level 4: MP Cost: 13, Deals 104% damage on 6 enemies 2 times. Level 5: MP Cost: 13, Deals 105% damage on 6 enemies 2 times. Level 6: MP Cost: 13, Deals 106% damage on 6 enemies 2 times. Level 7: MP Cost: 13, Deals 107% damage on 6 enemies 2 times. Level 8: MP Cost: 13, Deals 108% damage on 6 enemies 2 times. Level 9: MP Cost: 13, Deals 109% damage on 6 enemies 2 times. Level 10: MP Cost: 13, Deals 110% damage on 6 enemies 2 times. Level 11: MP Cost: 14, Deals 111% damage on 6 enemies 2 times. Level 12: MP Cost: 14, Deals 112% damage on 6 enemies 2 times. Level 13: MP Cost: 14, Deals 113% damage on 6 enemies 2 times. Level 14: MP Cost: 14, Deals 114% damage on 6 enemies 2 times. Level 15: MP Cost: 14, Deals 115% damage on 6 enemies 2 times. Level 16: MP Cost: 14, Deals 116% damage on 6 enemies 2 times. Level 17: MP Cost: 14, Deals 117% damage on 6 enemies 2 times. Level 18: MP Cost: 14, Deals 118% damage on 6 enemies 2 times. Level 19: MP Cost: 14, Deals 119% damage on 6 enemies 2 times. Level 20: MP Cost: 14, Deals 120% damage on 6 enemies 2 times. Level 21: MP Cost: 15, Deals 121% damage on 6 enemies 2 times. Level 22: MP Cost: 15, Deals 122% damage on 6 enemies 2 times. Level 23: MP Cost: 15, Deals 123% damage on 6 enemies 2 times. Level 24: MP Cost: 15, Deals 124% damage on 6 enemies 2 times. Level 25: MP Cost: 15, Deals 125% damage on 6 enemies 2 times. Level 26: MP Cost: 15, Deals 126% damage on 6 enemies 2 times. Level 27: MP Cost: 15, Deals 127% damage on 6 enemies 2 times. Level 28: MP Cost: 15, Deals 128% damage on 6 enemies 2 times. Level 29: MP Cost: 15, Deals 129% damage on 6 enemies 2 times. Level 30: MP Cost: 15, Deals 130% damage on 6 enemies 2 times. Description: Steal skills from other adventurers, 4th job skills or lower. Level 21: MP Consumption is equivalent to the skill’s required MP. Stolen skill’s level cannot exceed 21. Level 22: MP Consumption is equivalent to the skill’s required MP. Stolen skill’s level cannot exceed 22. Level 23: MP Consumption is equivalent to the skill’s required MP. Stolen skill’s level cannot exceed 23. Level 24: MP Consumption is equivalent to the skill’s required MP. Stolen skill’s level cannot exceed 24. Level 25: MP Consumption is equivalent to the skill’s required MP. Stolen skill’s level cannot exceed 25. Level 26: MP Consumption is equivalent to the skill’s required MP. Stolen skill’s level cannot exceed 26. Level 27: MP Consumption is equivalent to the skill’s required MP. Stolen skill’s level cannot exceed 27. Level 28: MP Consumption is equivalent to the skill’s required MP. Stolen skill’s level cannot exceed 28. Level 29: MP Consumption is equivalent to the skill’s required MP. Stolen skill’s level cannot exceed 29. Level 30: MP Consumption is equivalent to the skill’s required MP. Stolen skill’s level cannot exceed 30. One card is added to the stack. Description: Jump forward and back to attack an enemy using a powerful card. After using this skill, Phantom Charge may be used. In addition, Phantom Charge will be strengthened permanently. Level 1: MP Cost: 40, Attacks 10 enemies while moving backwards 3 times, Damage: 505%. Passive Effects: Phantom Charge Damage +12%. Level 2: MP Cost: 41, Attacks 10 enemies while moving backwards 3 times, Damage: 510%. Passive Effects: Phantom Charge Damage +14%. Level 3: MP Cost: 41, Attacks 10 enemies while moving backwards 3 times, Damage: 515%. Passive Effects: Phantom Charge Damage +16%. Level 4: MP Cost: 42, Attacks 10 enemies while moving backwards 3 times, Damage: 520%. Passive Effects: Phantom Charge Damage +18%. Level 5: MP Cost: 42, Attacks 10 enemies while moving backwards 3 times, Damage: 525%. Passive Effects: Phantom Charge Damage +20%. Level 6: MP Cost: 43, Attacks 10 enemies while moving backwards 3 times, Damage: 530%. Passive Effects: Phantom Charge Damage +22%. Level 7: MP Cost: 43, Attacks 10 enemies while moving backwards 3 times, Damage: 535%. Passive Effects: Phantom Charge Damage +24%. Level 8: MP Cost: 44, Attacks 10 enemies while moving backwards 3 times, Damage: 540%. Passive Effects: Phantom Charge Damage +26%. Level 9: MP Cost: 44, Attacks 10 enemies while moving backwards 3 times, Damage: 545%. Passive Effects: Phantom Charge Damage +28%. Level 10: MP Cost: 45, Attacks 10 enemies while moving backwards 3 times, Damage: 550%. Passive Effects: Phantom Charge Damage +30%. Level 11: MP Cost: 45, Attacks 10 enemies while moving backwards 3 times, Damage: 555%. Passive Effects: Phantom Charge Damage +32%. Level 12: MP Cost: 46, Attacks 10 enemies while moving backwards 3 times, Damage: 560%. Passive Effects: Phantom Charge Damage +34%. Level 13: MP Cost: 46, Attacks 10 enemies while moving backwards 3 times, Damage: 565%. Passive Effects: Phantom Charge Damage +36%. Level 14: MP Cost: 47, Attacks 10 enemies while moving backwards 3 times, Damage: 570%. Passive Effects: Phantom Charge Damage +38%. Level 15: MP Cost: 47, Attacks 10 enemies while moving backwards 3 times, Damage: 575%. Passive Effects: Phantom Charge Damage +40%. Level 16: MP Cost: 48, Attacks 10 enemies while moving backwards 3 times, Damage: 580%. Passive Effects: Phantom Charge Damage +42%. Level 17: MP Cost: 48, Attacks 10 enemies while moving backwards 3 times, Damage: 585%. Passive Effects: Phantom Charge Damage +44%. Level 18: MP Cost: 49, Attacks 10 enemies while moving backwards 3 times, Damage: 590%. Passive Effects: Phantom Charge Damage +46%. Level 19: MP Cost: 49, Attacks 10 enemies while moving backwards 3 times, Damage: 595%. Passive Effects: Phantom Charge Damage +48%. Level 20: MP Cost: 50, Attacks 10 enemies while moving backwards 3 times, Damage: 600%. Passive Effects: Phantom Charge Damage +50%. Description: Use Aria’s Prayer to increase your damage and amount of enemy’s DEF ignored significantly. Level 1: MP Cost: 62, Duration: 37 seconds, Damage: +1%, Enemy’s DEF Ignored: 1%. Level 2: MP Cost: 64, Duration: 44 seconds, Damage: +2%, Enemy’s DEF Ignored: 2%. Level 3: MP Cost: 66, Duration: 51 seconds, Damage: +3%, Enemy’s DEF Ignored: 3%. Level 4: MP Cost: 68, Duration: 58 seconds, Damage: +4%, Enemy’s DEF Ignored: 4%. Level 5: MP Cost: 70, Duration: 65 seconds, Damage: +5%, Enemy’s DEF Ignored: 5%. Level 6: MP Cost: 72, Duration: 72 seconds, Damage: +6%, Enemy’s DEF Ignored: 6%. Level 7: MP Cost: 74, Duration: 79 seconds, Damage: +7%, Enemy’s DEF Ignored: 7%. Level 8: MP Cost: 76, Duration: 86 seconds, Damage: +8%, Enemy’s DEF Ignored: 8%. Level 9: MP Cost: 78, Duration: 93 seconds, Damage: +9%, Enemy’s DEF Ignored: 9%. Level 10: MP Cost: 80, Duration: 100 seconds, Damage: +10%, Enemy’s DEF Ignored: 10%. Level 11: MP Cost: 82, Duration: 107 seconds, Damage: +11%, Enemy’s DEF Ignored: 11%. Level 12: MP Cost: 84, Duration: 114 seconds, Damage: +12%, Enemy’s DEF Ignored: 12%. Level 13: MP Cost: 86, Duration: 121 seconds, Damage: +13%, Enemy’s DEF Ignored: 13%. Level 14: MP Cost: 88, Duration: 128 seconds, Damage: +14%, Enemy’s DEF Ignored: 14%. Level 15: MP Cost: 90, Duration: 135 seconds, Damage: +15%, Enemy’s DEF Ignored: 15%. Level 16: MP Cost: 92, Duration: 142 seconds, Damage: +16%, Enemy’s DEF Ignored: 16%. Level 17: MP Cost: 94, Duration: 149 seconds, Damage: +17%, Enemy’s DEF Ignored: 17%. Level 18: MP Cost: 96, Duration: 156 seconds, Damage: +18%, Enemy’s DEF Ignored: 18%. Level 19: MP Cost: 98, Duration: 163 seconds, Damage: +19%, Enemy’s DEF Ignored: 19%. Level 20: MP Cost: 100, Duration: 170 seconds, Damage: +20%, Enemy’s DEF Ignored: 20%. Level 21: MP Cost: 102, Duration: 177 seconds, Damage: +21%, Enemy’s DEF Ignored: 21%. Level 22: MP Cost: 104, Duration: 184 seconds, Damage: +22%, Enemy’s DEF Ignored: 22%. Level 23: MP Cost: 106, Duration: 191 seconds, Damage: +23%, Enemy’s DEF Ignored: 23%. Level 24: MP Cost: 108, Duration: 198 seconds, Damage: +24%, Enemy’s DEF Ignored: 24%. Level 25: MP Cost: 110, Duration: 205 seconds, Damage: +25%, Enemy’s DEF Ignored: 25%. Level 26: MP Cost: 112, Duration: 212 seconds, Damage: +26%, Enemy’s DEF Ignored: 26%. Level 27: MP Cost: 114, Duration: 219 seconds, Damage: +27%, Enemy’s DEF Ignored: 27%. Level 28: MP Cost: 116, Duration: 226 seconds, Damage: +28%, Enemy’s DEF Ignored: 28%. Level 29: MP Cost: 118, Duration: 233 seconds, Damage: +29%, Enemy’s DEF Ignored: 29%. Level 30: MP Cost: 120, Duration: 240 seconds, Damage: +30%, Enemy’s DEF Ignored: 30%. Description: Unleash a growing storm of cards to attack surrounding enemies. Level 1: MP Cost: 25, Attacks up to 8 enemies, Damage: 226%. Level 2: MP Cost: 25, Attacks up to 8 enemies, Damage: 232%. Level 3: MP Cost: 25, Attacks up to 8 enemies, Damage: 238%. Level 4: MP Cost: 25, Attacks up to 8 enemies, Damage: 244%. Level 5: MP Cost: 25, Attacks up to 8 enemies, Damage: 250%. Level 6: MP Cost: 26, Attacks up to 8 enemies, Damage: 256%. Level 7: MP Cost: 26, Attacks up to 8 enemies, Damage: 262%. Level 8: MP Cost: 26, Attacks up to 8 enemies, Damage: 268%. Level 9: MP Cost: 26, Attacks up to 8 enemies, Damage: 274%. Level 10: MP Cost: 26, Attacks up to 8 enemies, Damage: 280%. Level 11: MP Cost: 26, Attacks up to 8 enemies, Damage: 286%. Level 12: MP Cost: 27, Attacks up to 8 enemies, Damage: 292%. Level 13: MP Cost: 27, Attacks up to 8 enemies, Damage: 298%. Level 14: MP Cost: 27, Attacks up to 8 enemies, Damage: 304%. Level 15: MP Cost: 27, Attacks up to 8 enemies, Damage: 310%. Level 16: MP Cost: 27, Attacks up to 8 enemies, Damage: 316%. Level 17: MP Cost: 27, Attacks up to 8 enemies, Damage: 322%. Level 18: MP Cost: 28, Attacks up to 8 enemies, Damage: 328%. Level 19: MP Cost: 28, Attacks up to 8 enemies, Damage: 334%. Level 20: MP Cost: 28, Attacks up to 8 enemies, Damage: 340%. Level 21: MP Cost: 28, Attacks up to 8 enemies, Damage: 346%. Level 22: MP Cost: 28, Attacks up to 8 enemies, Damage: 352%. Level 23: MP Cost: 28, Attacks up to 8 enemies, Damage: 358%. Level 24: MP Cost: 29, Attacks up to 8 enemies, Damage: 364%. Level 25: MP Cost: 29, Attacks up to 8 enemies, Damage: 370%. Level 26: MP Cost: 29, Attacks up to 8 enemies, Damage: 376%. Level 27: MP Cost: 29, Attacks up to 8 enemies, Damage: 382%. Level 28: MP Cost: 29, Attacks up to 8 enemies, Damage: 388%. Level 29: MP Cost: 29, Attacks up to 8 enemies, Damage: 394%. Level 30: MP Cost: 30, Attacks up to 8 enemies, Damage: 400%. Description: Increase the mastery, damage, and minimum critical damage of canes. Required Skill: Cane Mastery lv. 20. Level 1: Mastery +56%, Weapon ATT +1, Minimum Critical Damage +1%. Level 2: Mastery +56%, Weapon ATT +2, Minimum Critical Damage +1%. Level 3: Mastery +57%, Weapon ATT +3, Minimum Critical Damage +2%. Level 4: Mastery +57%, Weapon ATT +4, Minimum Critical Damage +2%. Level 5: Mastery +58%, Weapon ATT +5, Minimum Critical Damage +3%. Level 6: Mastery +58%, Weapon ATT +6, Minimum Critical Damage +3%. Level 7: Mastery +59%, Weapon ATT +7, Minimum Critical Damage +4%. Level 8: Mastery +59%, Weapon ATT +8, Minimum Critical Damage +4%. Level 9: Mastery +60%, Weapon ATT +9, Minimum Critical Damage +5%. Level 10: Mastery +60%, Weapon ATT +10, Minimum Critical Damage +5%. Level 11: Mastery +61%, Weapon ATT +11, Minimum Critical Damage +6%. Level 12: Mastery +61%, Weapon ATT +12, Minimum Critical Damage +6%. Level 13: Mastery +62%, Weapon ATT +13, Minimum Critical Damage +7%. Level 14: Mastery +62%, Weapon ATT +14, Minimum Critical Damage +7%. Level 15: Mastery +63%, Weapon ATT +15, Minimum Critical Damage +8%. Level 16: Mastery +63%, Weapon ATT +16, Minimum Critical Damage +8%. Level 17: Mastery +64%, Weapon ATT +17, Minimum Critical Damage +9%. Level 18: Mastery +64%, Weapon ATT +18, Minimum Critical Damage +9%. Level 19: Mastery +65%, Weapon ATT +19, Minimum Critical Damage +10%. Level 20: Mastery +65%, Weapon ATT +20, Minimum Critical Damage +10%. Level 21: Mastery +66%, Weapon ATT +21, Minimum Critical Damage +11%. Level 22: Mastery +66%, Weapon ATT +22, Minimum Critical Damage +11%. Level 23: Mastery +67%, Weapon ATT +23, Minimum Critical Damage +12%. Level 24: Mastery +67%, Weapon ATT +24, Minimum Critical Damage +12%. Level 25: Mastery +68%, Weapon ATT +25, Minimum Critical Damage +13%. Level 26: Mastery +68%, Weapon ATT +26, Minimum Critical Damage +13%. Level 27: Mastery +69%, Weapon ATT +27, Minimum Critical Damage +14%. Level 28: Mastery +69%, Weapon ATT +28, Minimum Critical Damage +14%. Level 29: Mastery +70%, Weapon ATT +29, Minimum Critical Damage +15%. Level 30: Mastery +70%, Weapon ATT +30, Minimum Critical Damage +15%. Description: Steal buffs from enemies around you. If the enemy doesn’t have a buff, there will be no effect. Level 1: MP Cost: 50, Steals buffs from 12 monsters. Damage Taken Reduction Buff: 2% Damage reduced. Damage Reflected Buff: 30% of the damage is reflected. Level 2: MP Cost: 51, Steals buffs from 12 monsters. Damage Taken Reduction Buff: 4% Damage reduced. Damage Reflected Buff: 60% of the damage is reflected. Level 3: MP Cost: 51, Steals buffs from 12 monsters. Damage Taken Reduction Buff: 6% Damage reduced. Damage Reflected Buff: 90% of the damage is reflected. Level 4: MP Cost: 52, Steals buffs from 12 monsters. Damage Taken Reduction Buff: 8% Damage reduced. Damage Reflected Buff: 120% of the damage is reflected. Level 5: MP Cost: 52, Steals buffs from 12 monsters. Damage Taken Reduction Buff: 10% Damage reduced. Damage Reflected Buff: 150% of the damage is reflected. Level 6: MP Cost: 53, Steals buffs from 12 monsters. Damage Taken Reduction Buff: 12% Damage reduced. Damage Reflected Buff: 180% of the damage is reflected. Level 7: MP Cost: 53, Steals buffs from 12 monsters. Damage Taken Reduction Buff: 14% Damage reduced. Damage Reflected Buff: 210% of the damage is reflected. Level 8: MP Cost: 54, Steals buffs from 12 monsters. Damage Taken Reduction Buff: 16% Damage reduced. Damage Reflected Buff: 240% of the damage is reflected. Level 9: MP Cost: 54, Steals buffs from 12 monsters. Damage Taken Reduction Buff: 18% Damage reduced. Damage Reflected Buff: 270% of the damage is reflected. Level 10: MP Cost: 55, Steals buffs from 12 monsters. Damage Taken Reduction Buff: 20% Damage reduced. Damage Reflected Buff: 300% of the damage is reflected. Level 11: MP Cost: 55, Steals buffs from 12 monsters. Damage Taken Reduction Buff: 22% Damage reduced. Damage Reflected Buff: 330% of the damage is reflected. Level 12: MP Cost: 56, Steals buffs from 12 monsters. Damage Taken Reduction Buff: 24% Damage reduced. Damage Reflected Buff: 360% of the damage is reflected. Level 13: MP Cost: 56, Steals buffs from 12 monsters. Damage Taken Reduction Buff: 26% Damage reduced. Damage Reflected Buff: 390% of the damage is reflected. Level 14: MP Cost: 57, Steals buffs from 12 monsters. Damage Taken Reduction Buff: 28% Damage reduced. Damage Reflected Buff: 420% of the damage is reflected. Level 15: MP Cost: 57, Steals buffs from 12 monsters. Damage Taken Reduction Buff: 30% Damage reduced. Damage Reflected Buff: 450% of the damage is reflected. Level 16: MP Cost: 58, Steals buffs from 12 monsters. Damage Taken Reduction Buff: 32% Damage reduced. Damage Reflected Buff: 480% of the damage is reflected. Level 17: MP Cost: 58, Steals buffs from 12 monsters. Damage Taken Reduction Buff: 34% Damage reduced. Damage Reflected Buff: 510% of the damage is reflected. Level 18: MP Cost: 59, Steals buffs from 12 monsters. Damage Taken Reduction Buff: 36% Damage reduced. Damage Reflected Buff: 540% of the damage is reflected. Level 19: MP Cost: 59, Steals buffs from 12 monsters. Damage Taken Reduction Buff: 38% Damage reduced. Damage Reflected Buff: 570% of the damage is reflected. Level 20: MP Cost: 60, Steals buffs from 12 monsters. Damage Taken Reduction Buff: 40% Damage reduced. Damage Reflected Buff: 600% of the damage is reflected. Description: For a period of time, raises the stats of you and your party members by a certain percentage. Level 1: HP Cost: 10, Duration: 30 seconds, +1% All Stats. Level 2: HP Cost: 10, Duration: 60 seconds, +1% All Stats. Level 3: HP Cost: 10, Duration: 90 seconds, +2% All Stats. Level 4: HP Cost: 10, Duration: 120 seconds, +2% All Stats. Level 5: HP Cost: 20, Duration: 150 seconds, +3% All Stats. Level 6: HP Cost: 20, Duration: 180 seconds, +3% All Stats. Level 7: HP Cost: 20, Duration: 210 seconds, +4% All Stats. Level 8: HP Cost: 20, Duration: 240 seconds, +4% All Stats. Level 9: HP Cost: 20, Duration: 270 seconds, +5% All Stats. Level 10: HP Cost: 30, Duration: 300 seconds, +5% All Stats. Level 11: HP Cost: 30, Duration: 330 seconds, +6% All Stats. Level 12: HP Cost: 30, Duration: 360 seconds, +6% All Stats. Level 13: HP Cost: 30, Duration: 390 seconds, +7% All Stats. Level 14: HP Cost: 30, Duration: 420 seconds, +7% All Stats. Level 15: HP Cost: 40, Duration: 450 seconds, +8% All Stats. Level 16: HP Cost: 40, Duration: 480 seconds, +8% All Stats. Level 17: HP Cost: 40, Duration: 510 seconds, +9% All Stats. Level 18: HP Cost: 40, Duration: 540 seconds, +9% All Stats. Level 19: HP Cost: 40, Duration: 570 seconds, +10% All Stats. Level 20: HP Cost: 50, Duration: 600 seconds, +10% All Stats. Level 21: HP Cost: 50, Duration: 630 seconds, +11% All Stats. Level 22: HP Cost: 50, Duration: 660 seconds, +11% All Stats. Level 23: HP Cost: 50, Duration: 690 seconds, +12% All Stats. Level 24: HP Cost: 50, Duration: 720 seconds, +12% All Stats. Level 25: HP Cost: 60, Duration: 750 seconds, +13% All Stats. Level 26: HP Cost: 60, Duration: 780 seconds, +13% All Stats. Level 27: HP Cost: 60, Duration: 810 seconds, +14% All Stats. Level 28: HP Cost: 60, Duration: 840 seconds, +14% All Stats. Level 29: HP Cost: 60, Duration: 870 seconds, +15% All Stats. Level 30: HP Cost: 70, Duration: 900 seconds, +15% All Stats. *No I did not make an error, it says HP cost. Level 1: MP Cost: 30, Cooldown: 600 seconds. Level 2: MP Cost: 30, Cooldown: 540 seconds. Level 3: MP Cost: 30, Cooldown: 480 seconds. Level 4: MP Cost: 30, Cooldown: 420 seconds. Level 5: MP Cost: 30, Cooldown: 360 seconds. Description: Additional attacks to Twilight. Level 1: MP Cost: 0, Attacks up to 10 enemies 3 times, Damage: 505%. Level 2: MP Cost: 0, Attacks up to 10 enemies 3 times, Damage: 510%. Level 3: MP Cost: 0, Attacks up to 10 enemies 3 times, Damage: 515%. Level 4: MP Cost: 0, Attacks up to 10 enemies 3 times, Damage: 520%. Level 5: MP Cost: 0, Attacks up to 10 enemies 3 times, Damage: 525%. Level 6: MP Cost: 0, Attacks up to 10 enemies 3 times, Damage: 530%. Level 7: MP Cost: 0, Attacks up to 10 enemies 3 times, Damage: 535%. Level 8: MP Cost: 0, Attacks up to 10 enemies 3 times, Damage: 540%. Level 9: MP Cost: 0, Attacks up to 10 enemies 3 times, Damage: 545%. Level 10: MP Cost: 0, Attacks up to 10 enemies 3 times, Damage: 550%. Level 11: MP Cost: 0, Attacks up to 10 enemies 3 times, Damage: 555%. Level 12: MP Cost: 0, Attacks up to 10 enemies 3 times, Damage: 560%. Level 13: MP Cost: 0, Attacks up to 10 enemies 3 times, Damage: 565%. Level 14: MP Cost: 0, Attacks up to 10 enemies 3 times, Damage: 570%. Level 15: MP Cost: 0, Attacks up to 10 enemies 3 times, Damage: 575%. Level 16: MP Cost: 0, Attacks up to 10 enemies 3 times, Damage: 580%. Level 17: MP Cost: 0, Attacks up to 10 enemies 3 times, Damage: 585%. Level 18: MP Cost: 0, Attacks up to 10 enemies 3 times, Damage: 590%. Level 19: MP Cost: 0, Attacks up to 10 enemies 3 times, Damage: 595%. Level 20: MP Cost: 0, Attacks up to 10 enemies 3 times, Damage: 600%. Damage Increased (50% at max level -> 70% at max level). Damage Over Time Duration Increased (6 seconds at max level -> 8 seconds at max level). Duration Increased (30 seconds at max level -> 60 seconds at max level). Speed Bonus Increased (30 at max level -> 50 at max level). New Feature! Reflects 15% of damage taken at max level. New Feature! Reflects 10% of damage taken at max level. Damage Decreased by 40% (220% at max level -> 180% at max level). Damage Decreased by 10% (50% at max level -> 40% at max level). Damage of Explosion Decreased by 50% (300% at max level -> 250% at max level). Damage Decreased by 90% (260% at max level -> 170% at max level). Damage Decreased by 240% (1,000% at max level -> 760% at max level). Damage Decreased by 50% (650% at max level -> 600% at max level). Damage Decreased by 20% (305% at max level -> 285% at max level). Damage Decreased (500% at max level -> 300% at max level). Damage When Self-destructing Decreased by 200% (620% at max level -> 420% at max level). Damage Decreased by 30% (90% at max level -> 60% at max level). Damage Increased (75% at max level -> 150% at max level). Damage Decreased by 11% (126% at max level -> 115% at max level). Damage Decreased by 10% (150% at max level -> 140% at max level). Damage Decreased by 20% (120% at max level -> 100% at max level). Rising Rush Damage Bonus Decreased (30% at max level -> 20% at max level). Damage Decreased by 52% (572% at max level -> 520% at max level). Damage Decreased by 30% (435% at max level -> 405% at max level). Damage Decreased by 20% (190% at max level -> 170% at max level). Demon Lash Damage Bonus Decreased by 20% (40% -> 20%). Damage Decreased (150% at max level -> 110% at max level). Critical Rate Bonus Decreased (20% at max level -> 10% at max level). Damage Decreased (300% at max level -> 150% at max level). Damage Decreased by 29% (169% at max level -> 140% at max level). Damage Over Time Decreased (135% at max level -> 115% at max level). Abnormal Status Resistance/All Elemental Resistance Bonus Decreased (80% at max level -> 60% at max level). Demon Lash Damage Bonus Decreased by 40% (160% -> 120%). Damage (once lifted into the air) Decreased by 100% (335% at max level -> 225% at max level). Damage Decreased (400% at max level -> 240% at max level). Amount of Enemy Defense Ignored Decreased (50% at max level -> 30% at max level). Damage Decreased by 200% (900% at max level -> 700% at max level). Damage Over Time Decreased (200% at max level -> 140% at max level). I have A LOT more to talk about. As usual, to be updated. They’re animated PNG’s. I just can’t stand GIF’s sorry. alright but dont u think more people will be able to see if u make it compatible with ie? OT: very nice job… and are legends gonna get Nerf badly? or not so much? The maps are not animated PNG’s so that’s not the problem. Problem is – server is down due to overflow. EDIT: Working fine right now, try it. There’s absolutely no way that I made a mistake with the icons. Shakar, I have some questions. 2. Do you know what the class selection screen looks like? with Legend, all of the other classes were shrinked to tiny boxes while Cannon Shooter, Mercedes and Demon Slayer were at the center of attention. How did they manage to fit Phantom on the screen? 3. Can you use shields with Canes? EDIT: NVM that will be tomorrow. So basically you use a cane, the cards are just from skills. and no I don’t think you can hold a shield with a Cane. So he can steal “ANY” skill from “ANY” class or is there some sort of rules he must apply too that isn’t said. It says from adventurers, but sure. The only rule is that he can’t get passive skills. Like Shadower Partner, Summon Dragon, Bahamute, Bird, etc. Are you kidding? Its completely different from other classes. It can have any skill it wants, just by being near other people. Do you have to be in the same map as the adventurer whose skill you steal from? No, you only need to be in the same map with the adventurer to take the skill. after you took it you can use it even without the adventurer you took the skill from next to you. you can use it everywhere. Doesn’t this mean many other jobs, such as bishops, become useless as you can just use Phantom for Hs, then get Hb for 2nd job, then another buff for 1st and 4th jobs? Phantom has 80% avoid rate + this copy skill. Not really. Much like Archers the job has a Dodge skill and a boost to avoid that isn’t reflected in the avoid that but instead indirectly. These are NOT the same and do not stack. One skill acts like shadow shifter while the other increases your ability to see a MISS by a small amount (the percent boost to avoid is multiplicative). Therefore if a phantom stole Illusion step, they would essentially have two shadow shifters and their regular avoid rate, which will not add up to a total of 80% in totaling dodging an attack. This is because they are all independent and do not stack. Based on tests I have done with Archers and probability calculations, phantoms ability to completely avoid an attack via a miss or shadow shifter is 70% or less. This is mainly because I do not know how much avoidability Phantom will benefit from in regards to normal Miss before any buffs. So I did an estimate. If they can steal Illusion step, which they can only use at level 20, their total chance of getting a miss or having 1 of 2 shadow shifters activate would be 98% or less. I will say right now that Illusion Step is one of the last skills a BM/MM will put points in for good reasons, and the Phantom would be sacrificing using any other 4th job skills while that buff is active, since you can only benefit from 1 stolen skill from each job at a time. This is also assuming my assumption of Phantoms ability to dodge without any skills isn’t way off the mark. can they steel jaguar rider and mech rig? No sadly they cannot steal unique stances. ps. can u steel profession skills? 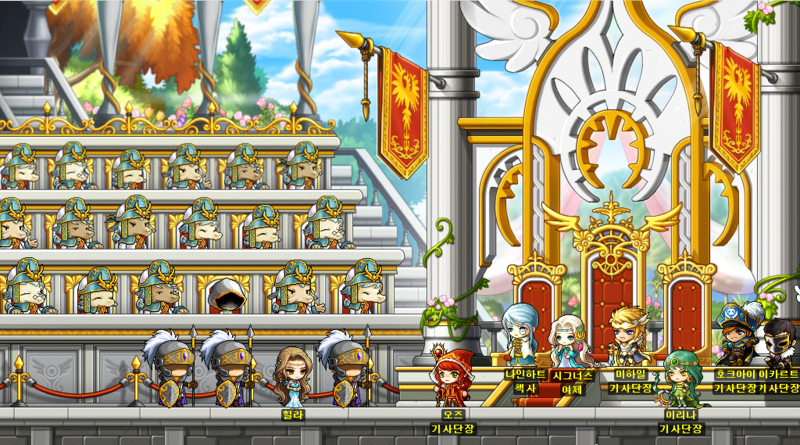 i think nexon will have to nerf the other jobs a lot to pull this one off! 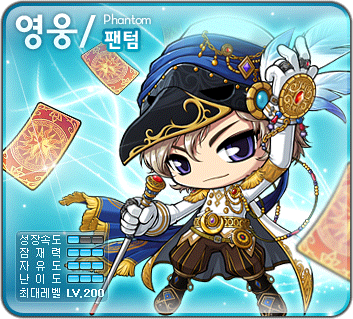 1.Phantom has a skill storage and limit on how much skills 4 for 1st job n 2nd job 3 for 3rd job and 2 for 4th job. 2.Phantom can only steal from ADVENTURERS. 3.You can only make 1 skill for all 1st to 4th job active and if u change the active skill the buff used will cancel. 4.Phantom cannot steal passive and summon skills. look who’s failing… adventurer is used to refer to any class explorer is different and probably what you mean BUT it does say adventurer so…ya! I want you to find me a video with a phantom using ANY other skill other than explorer skills. Thanks. I think that it will require quite a bit of funding to go low dex with Phantom, but otherwise it looks seriously overpowered for now that other heroes got nerfed. It will probably get nerfed as well when Nexon feels like it but in the meantime demon slayer, for example, won’t be as nearly strong as Phantom. Personally I think Phantom is okay because his damage really depends on his Critical Strikes. Hey Shakar, Do you have any GMS characters on Galacia? Beacause That is the Server I mainly play on. Their skills had their damage lowered. im very confused there is a skill steal for beginner phantom and 1 for each job advance. what the difference between the beginner and the other 1’s? can the beginner 1 steal only begin skills which would be a waste of sp of can it steal all skills. They are different, look at the descriptions closely. 1st job one can only steal 1st job skills, 2nd -> 2nd, 3rd->3rd, 4th->4th. hey shakar…u said there will be four kind of cards like the mercedes magic arrows…what is the difference between the cards stack? I think you get one at each job advancement. Not sure what the difference is. It’s like a Force Shield or Magic Arrow, almost no changes. Can u plz tell me what skill of CORSAIRS turns to what skill? or some that are completely removed and re-coded? i need the info badly plz help ._. ! Right hand side, see the first thing under ‘Recent Updates’? 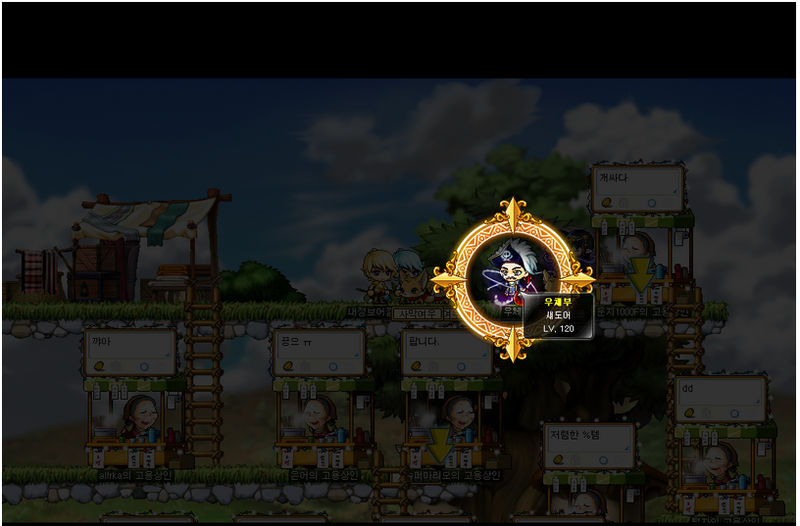 Click on KMST for the 3rd part. All the skill books are brand new, I checked. 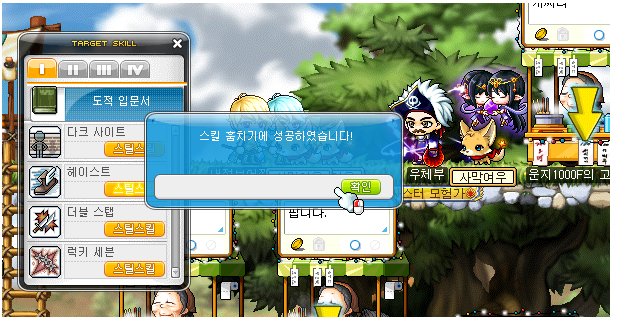 listen, in GMS when there where skill changes, i had a mastery book for bishop (i don’t remember the name) and when the skill changes happened, my mastery book changed to adv bless 30, so i think your mastery book will change too. Why would they be in French? Well, if you look, one of the other skills is “Noir Card” which is French for Black Card. You can use Google’s translator to confirm. In the story, shouldn’t it be ” he and the FOUR heroes ” instead of ” he and the FIVE heroes ” ? There are 5 total heroes, just 4 are available to us now. Does Phantom need throwing star if he steals skills such as Triple throw? what i would love to know can they use HS cause if so then now bishops are useless and thats depressing. so geting haste, self haste, mersades dubble junp, and stuff like that. isnt is willow defensive, not yellow? Why did you put Phantom Charge 2 times in the skills? Dummy skill, ignore the second one. 2. You’re right, it would make more sense. 3. No, I think there will simply be a war between Cygnus, Athena, and Mercedes over Phantom. Then Aria will kill all three of them :O.
w8 doesnt mercedes love demonslayer? Yes but it’s a waste of a skill to steal because it’s useless for Phantoms. The Fire Charge bonus is only if you use a skill that uses swords, combo works for any weapon so it’s much better. Shakar I think your wrong, in the skills Phantom charge and Twilight there is not a skill that gives additional attacks its just another part of the skills, if you see people use that skills in video, its together – not separated skills, but that’s my opinion. It’s just doesn’t make sense when u count the SP – there is too much SP missing. I know there are leftover SP. % DAMAGE ON ULTIMATE DRIVE? SOMEPLEASE RESPOND! can u add wich 4th job skills need mastery books? AH I TOLD U ITS A DUMMY SKILL AND YOU DIDNT BELIEVE ME, IN YOUR FACE PUNK. AND YEA I KNOW ISOCOOLBECAUSEIDISOBEYMYMOMANDITROLOLOLALLDAYANDISPAMMMALLNIGHTANDIWASRIGHTANDUWASWRONGANDNOWIMHAPPYANDNOWNOMORELETSGETBACKTOMYCORNER. wheres the 4th job skill build? 4th Job never gets a skill build because there is no set way to train to level 200. Usually what people do is leave their Ultimate (referring to whole-screen animation attacks, like Genesis) at 1, and level everything else at max. Mainly, at 4th the only attacks you want are a mobbing attack and a single target attack. So, in terms of Phantom, basically max everything except Twilight, since it is worthless since Ultimate Drive attacks 6 monsters, and Tempest of Cards is generally a better mobbing skill than Twilight. Also, I think Heros Will only needs one point in, unless you boss a lot which requires a quicker cooldown. Shakar if I steal skill as HS it will affect all party members?